That discoloration is indisputably an eyesore. But the bigger concern is the fact that it’s a health risk. The stains are due to algal growth called Gloeocapsa Magma. It thrives in Maryland’s warm, humid climate… And roofs tend to become its unwilling host. We remove the algal growth and stop its growth. This eliminates the eyesore and also prevents it from spreading into your interior, which can lead to health risks and serious structural damage. A roof replacement will set you back about $12,000 — and even straightforward repairs can rack up thousands of dollars. Periodic roof cleaning services keep your roofing in better condition for longer, so you don’t have to repair or replace your topmost layer as often. On average, regular roof cleaning services can lengthen the life of a roof by as much as a decade. 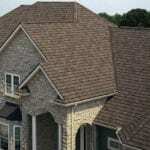 Your roof should never bring down the aesthetic appeal of your property! We offer the expertise to ensure that this part of your home is an asset, not an eyesore. This is especially impactful if you’re gearing up to put your home on the market. 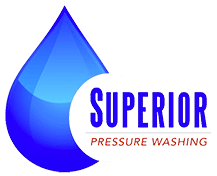 Superior Pressure Washing is proud to offer homes in Gaithersburg, MD roof cleaning expertise. Consider it the gift that keeps on giving — our affordable solution will keep your property beautiful and functional for years down the road.